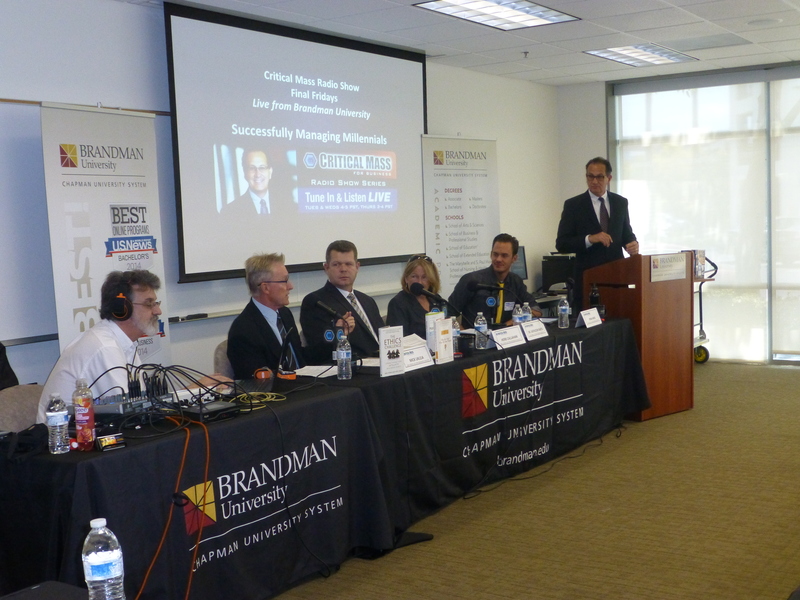 Critical Mass Radio Show presents Final Fridays LIVE at Brandman University. Our expert panelists included Mick Ukleja, founder and president of Leadership TraQ, Herb Callahan, Corporate Director of Golden State Foods, Ryan Hines, Public Relations Coordinator at Chapman University and Dr. Kathleen Bates, Professor at Brandman University. Our guest panelists enthusiastically discussed the issue of keys to successfully managing Millennials in the workforce and the growing trend in how different generations have shaped and influenced work place.